On the day of the England-Slovenia World Cup match, BBC Sports Online was visited by 6 million people, prompting the best-ever numbers for the Beeb's sports website. 1.5 million of those used the site's audio visual technology to listen or watch the game, with 500,000 requests coming from fans watching the match live on BBC iPlayer. It's unsure how many of these were trying to get a sneaky look without the boss catching them. This marks a significant week for the BBC. It has attracted record numbers to its sports pages, with Wednesday, Monday and Tuesday being the Beeb's best-ever days for traffic (in that order). The 1.6 million watching or listening to the match on the BBC Sport's pages surpasses the 1.2 million who used the site to keep up to date with what is going on with last year's Wimbledon match between Andy Murray and Andy Roddick. The BBC is certainly ramping up its web TV business. 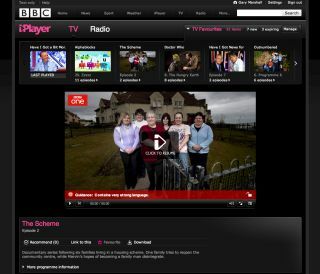 It recently introduced its beta of iPlayer 3 to the world, adding Facebook functionality and better sharing. The broadcaster exclusively revealed to TechRadar earlier this week that this version of iPlayer will be coming to the PS3 some time later in the year.